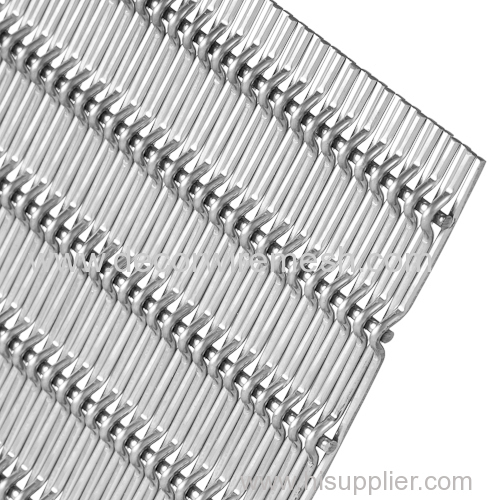 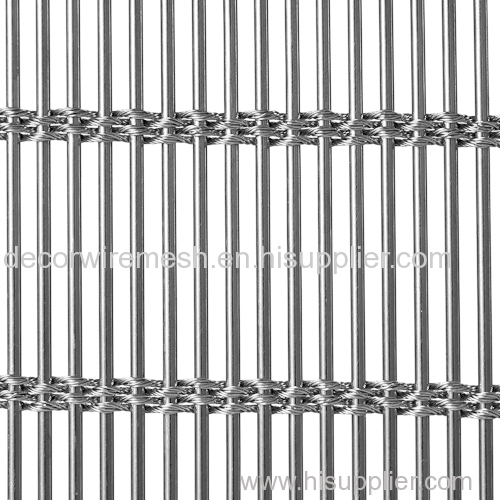 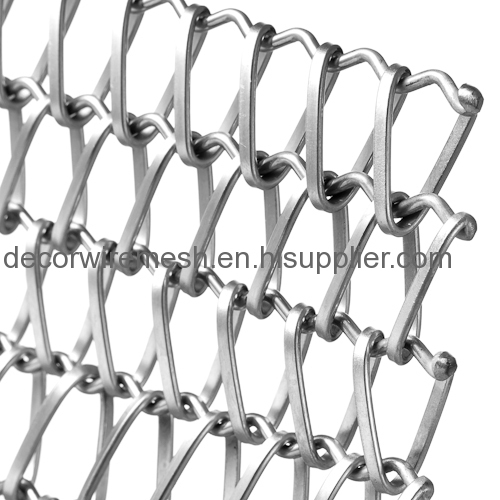 stainless steel conveyor belt is woven by two kinds of wire , firstly we need crimpe the wire and make another wire into spring shape ,and then put the crimped wire into the spring wire ,and then weld it . 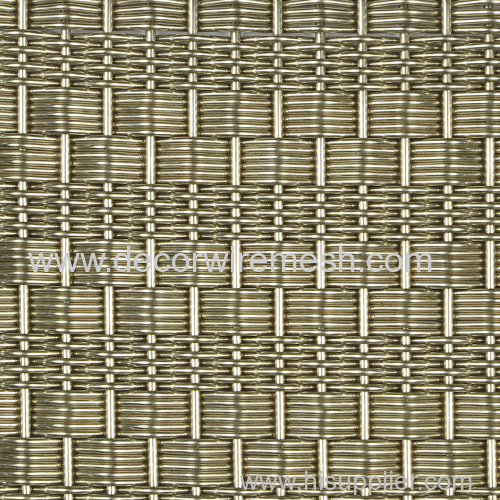 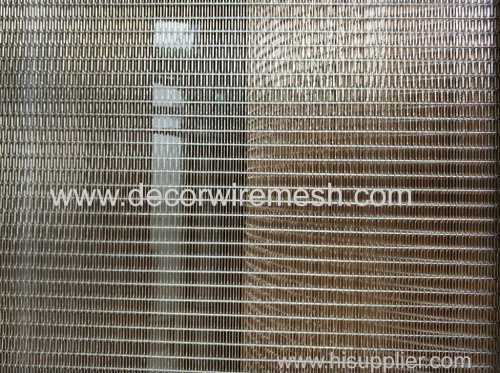 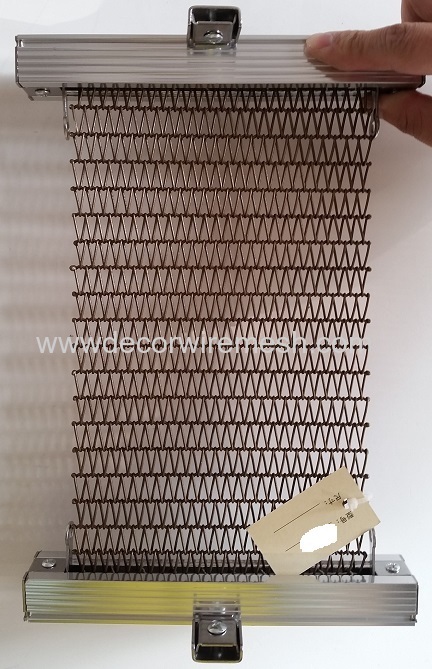 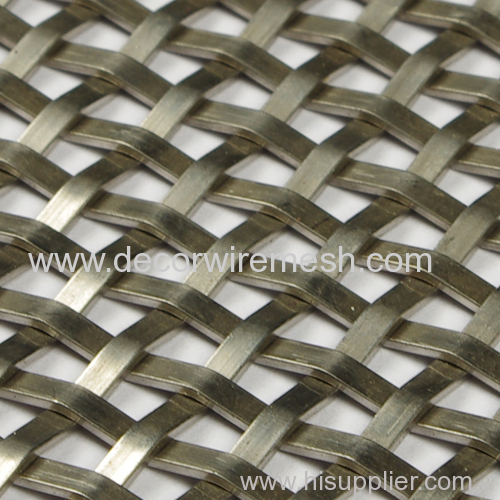 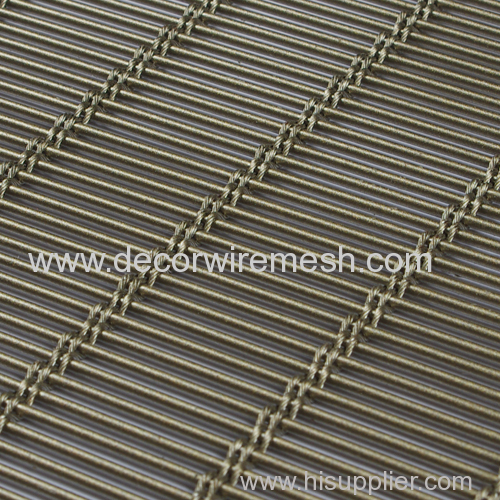 Different wire diameter and wire shape ,the mesh is different . 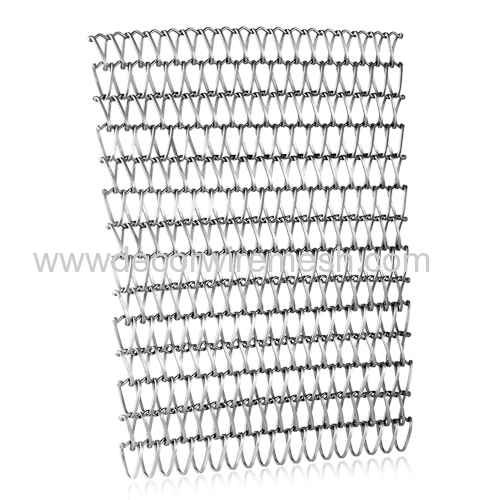 The spring wire can be flat wire or round wire . 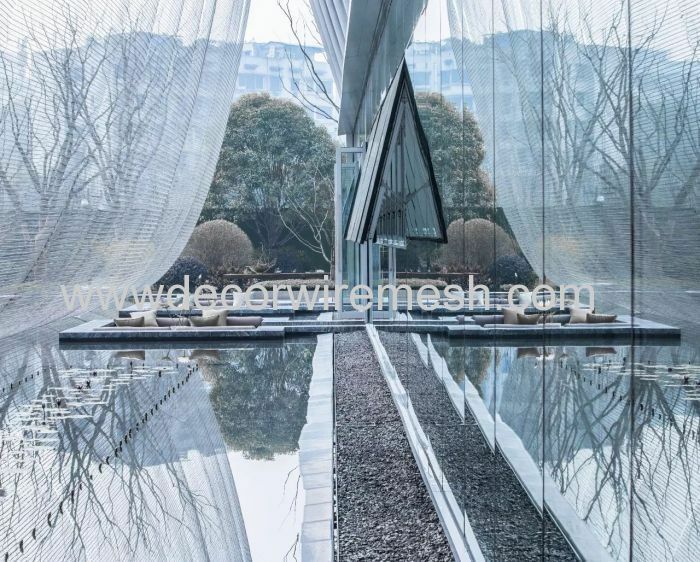 If you have your own structure can be installa the mesh , it is ok . 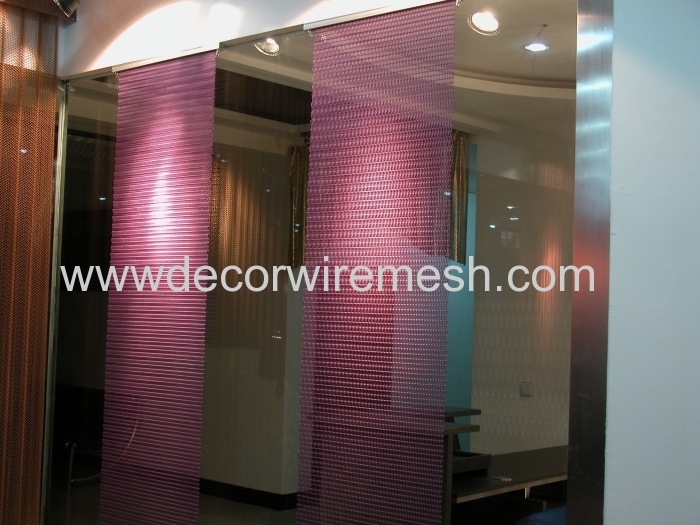 If you have no , we can provide you a easy installtion way as below . 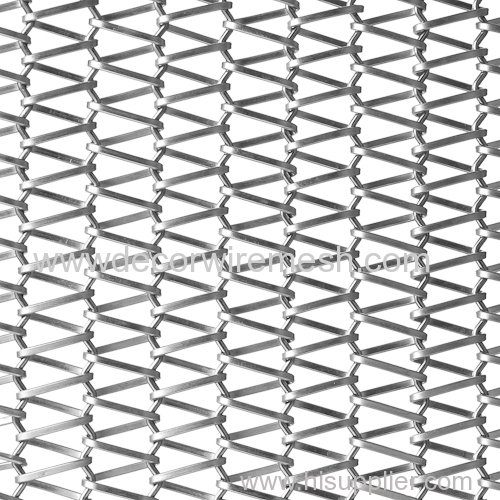 You just need put the mesh into our track and then fix the track ,then ok . 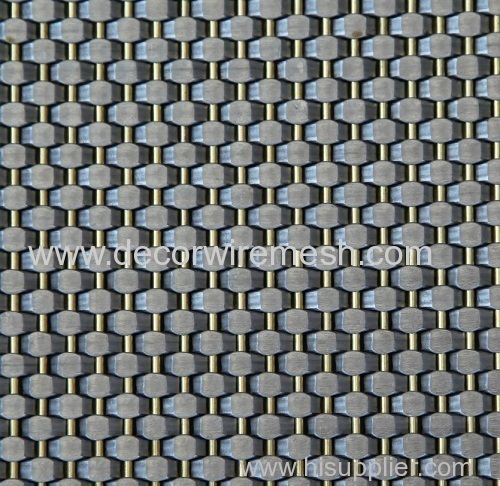 This conveyor belt is widely used as curtain wall , or hung flat as a curtain .Meanwhile , it can also be used to make some suspended shape .